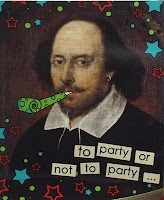 Happy Birthday (we estimate) William Shakespeare! 1. 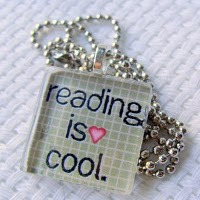 Shakespeare is the second most quoted writer in the English language – after the various writers of the Bible. Some scholars have maintained that Shakespeare did not write the Shakespeare plays, with at least fifty writers having been suggested as the “real” author. However, the evidence for Shakespeare’s having written the plays is very strong. 2. During his life, Shakespeare wrote 37 plays and 154 sonnets! 3. Shakespeare's profession was acting. There is evidence he played the ghost in "Hamlet" and Adam in "As You Like It"
4. Suicide occurs an unlucky thirteen times in Shakespeare’s plays. It occurs in Romeo and Juliet where both Romeo and Juliet commit suicide, in Julius Caesar where both Cassius and Brutus die by consensual stabbing, as well as Brutus’ wife Portia. 5. The American President Abraham Lincoln was a great lover of Shakespeare’s plays and frequently recited from them to his friends. His assassin, John Wilkes Booth was a famous Shakespearean actor. 6. Shakespeare died a rich man. He made several gifts to various people but left his property to his daughter, Susanna. The only mention of his wife in Shakespeare’s own will is: “I gyve unto my wief my second best bed with the furniture”. The “furniture” was the bedclothes for the bed. 7. Shakespeare was buried in the Holy Trinity Church, Stratford-upon-Avon. He put a curse on anyone daring to move his body from that final resting place. His epitaph was: Good friend for Jesus’ sake forbear,To dig the dust enclosed here:Blest be the man that spares these stones,And curst be he that moves my bones. 8. Shakespeare lived to 52. It is known that he was born in April 1564 and that he died on 23rd April 1616. We know that he was baptised on 26th April 1564 and scholars now believe that he was born on April 23rd. 9. One of Shakespeare’s relatives on his mother’s side, William Arden, was arrested for plotting against Queen Elizabeth I, imprisoned in the Tower of London and executed. 10. Shakespeare's Globe Theatre burnt down on 29th June 1613 after a cannon shot set fire to it during a performance of Henry VIII.